Bill presenting me with a certificate of appreciation. 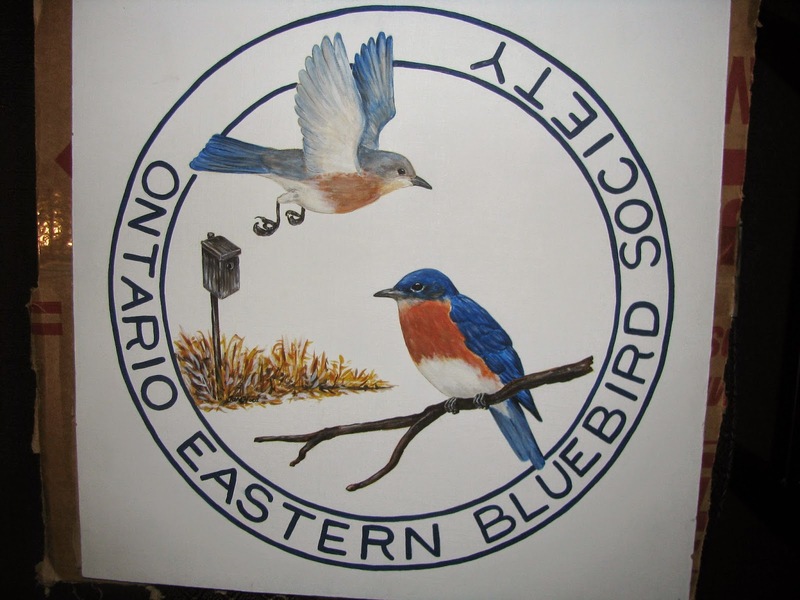 This past Saturday, Rob and I attended the 27th annual Ontario Eastern Bluebird Society general meeting. 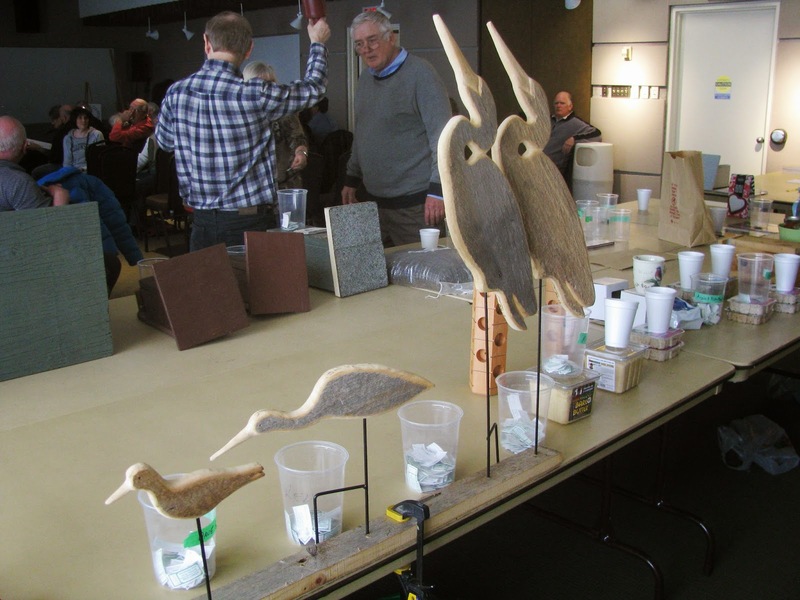 We've been members for four years and really enjoy this yearly meeting. After our first meeting I volunteered myself to manage their Facebook page, and I handle their Twitter account as well. The meetings are always educational and fun filled. I look forward to it every year and this year I received a pleasant surprise. 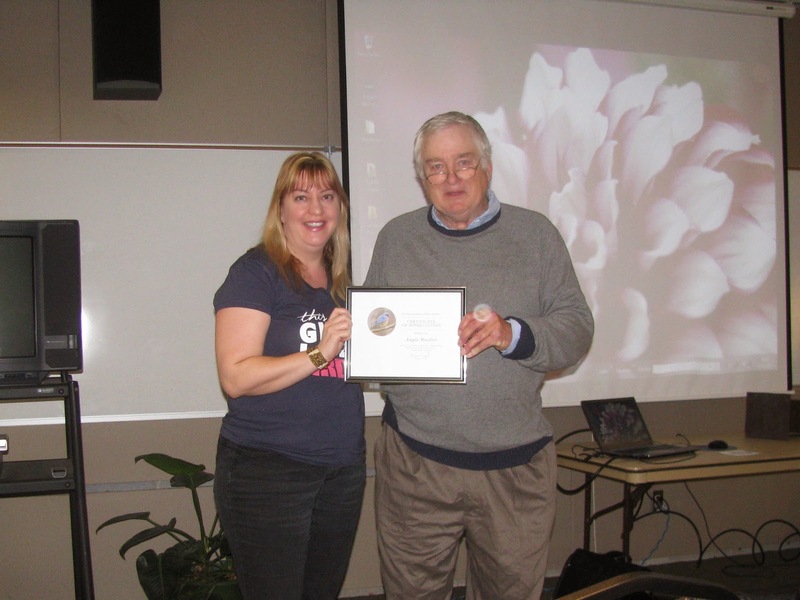 Bill Read, the Founder and President, presented me with a certificate of appreciation during the meeting. 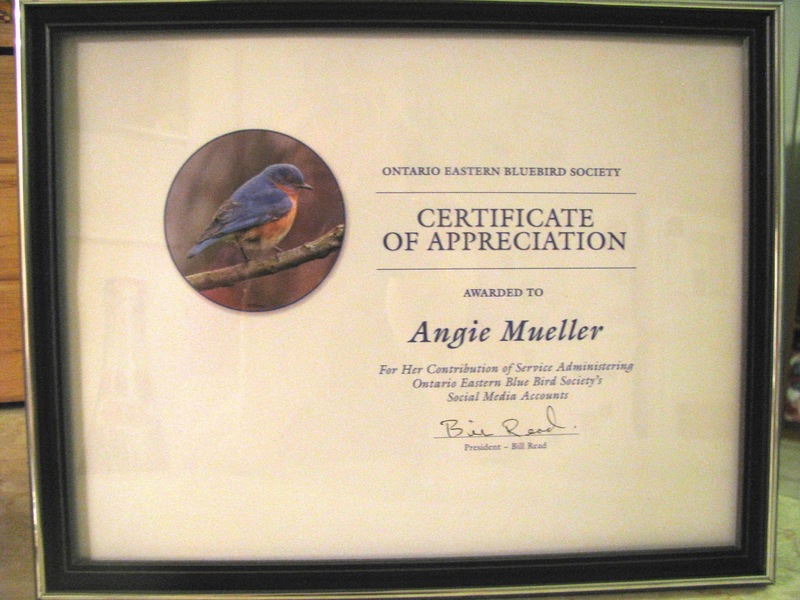 I was stunned, there are many other members who do so much more, managing nest trails, etc, but the gesture was much appreciated. I didn't take as many photos as I normally do because I was too busy talking and getting caught up with people I hadn't seen in a year! All members received sew on patches of the logo this year with the Spring Newsletter. Rob catching up with long time member Delores. 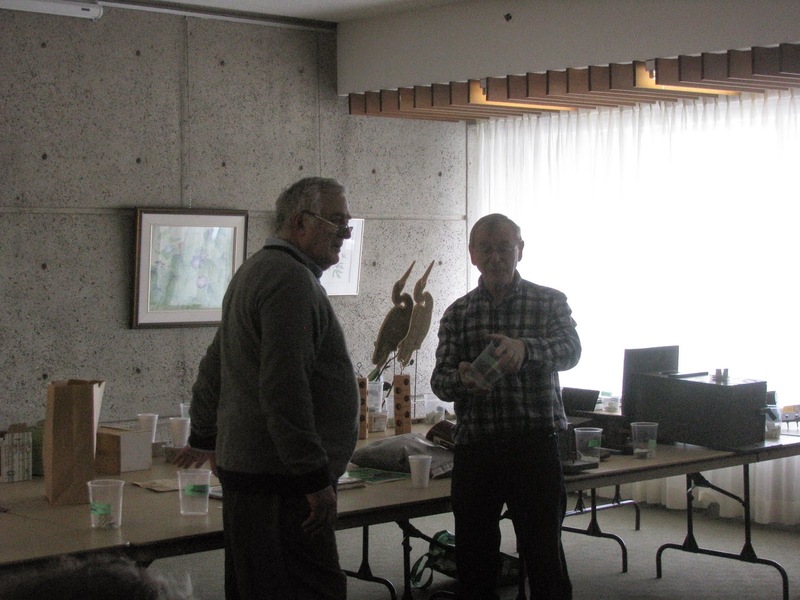 Tom gave a great video presentation on "his" Prothonotary Warblers. Close up of my certificate. 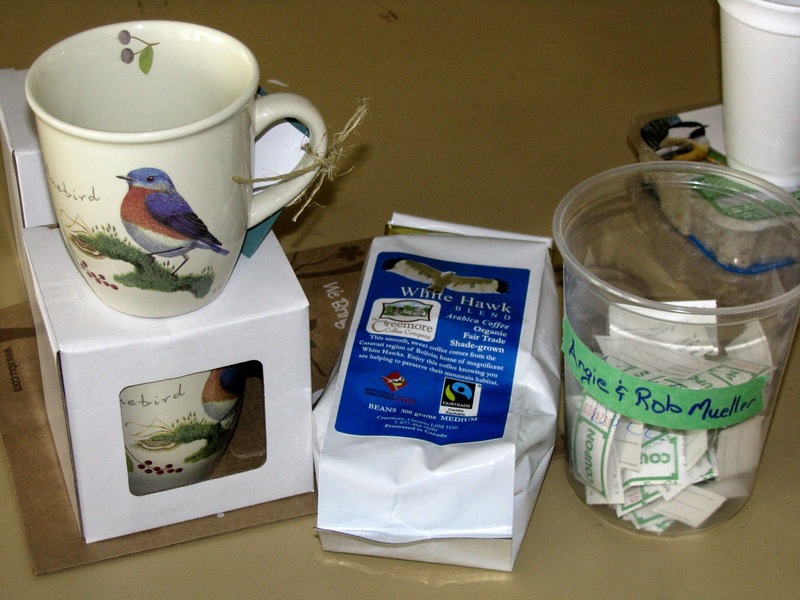 Our donation to the Bucket Raffle. I wanna win these hand made lawn ornaments!!! I did! I did! And Delores won one too! 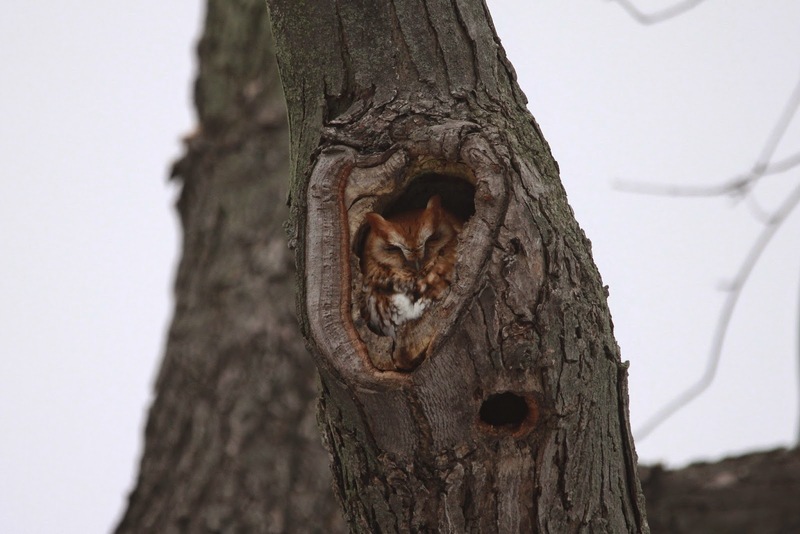 Rob snuck off and saw an owl on his lunch break while I was at the board meeting. It was another informative and enjoyable day. 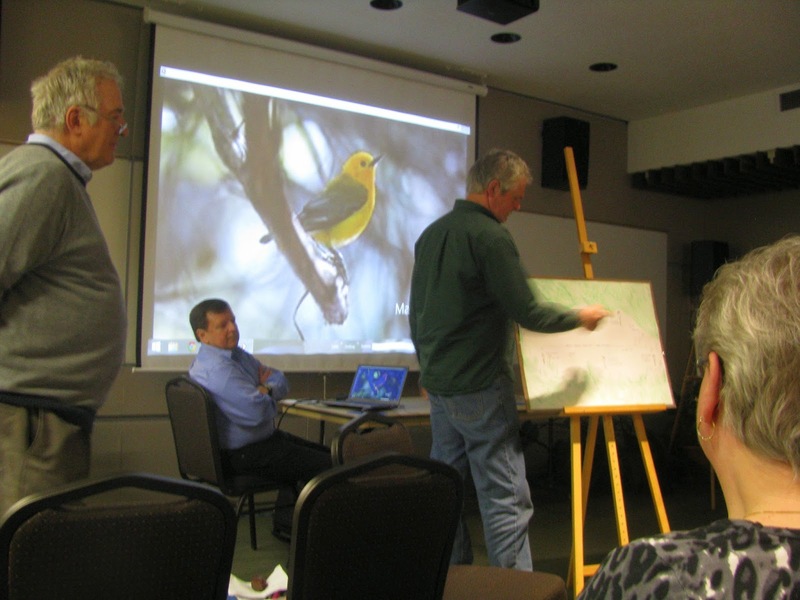 There was a great video presentation in the morning on Prothonotary Warblers and Eastern Bluebirds. 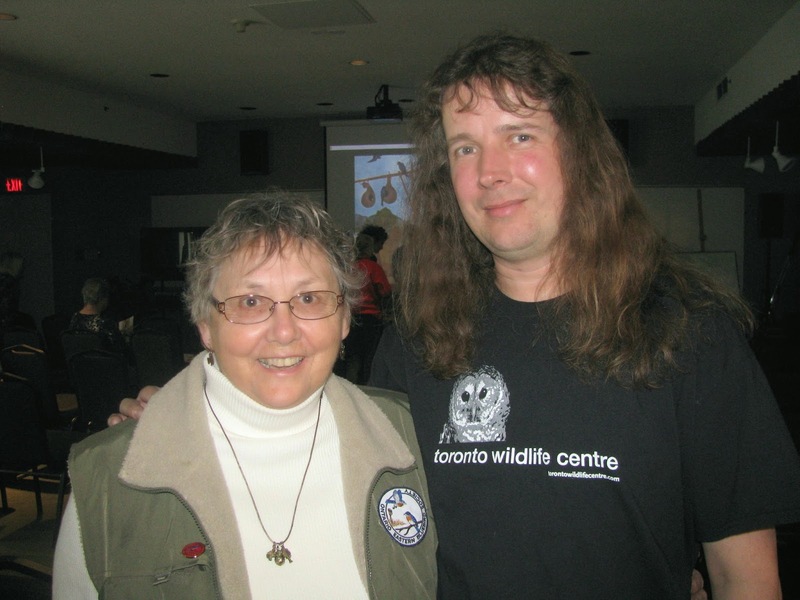 The afternoon talk was presented by Audrey Heagy from Bird Studies Canada on Eastern Whip-poor-wills in Ontario. Looking forward to next year! Congratulations on your certificate. 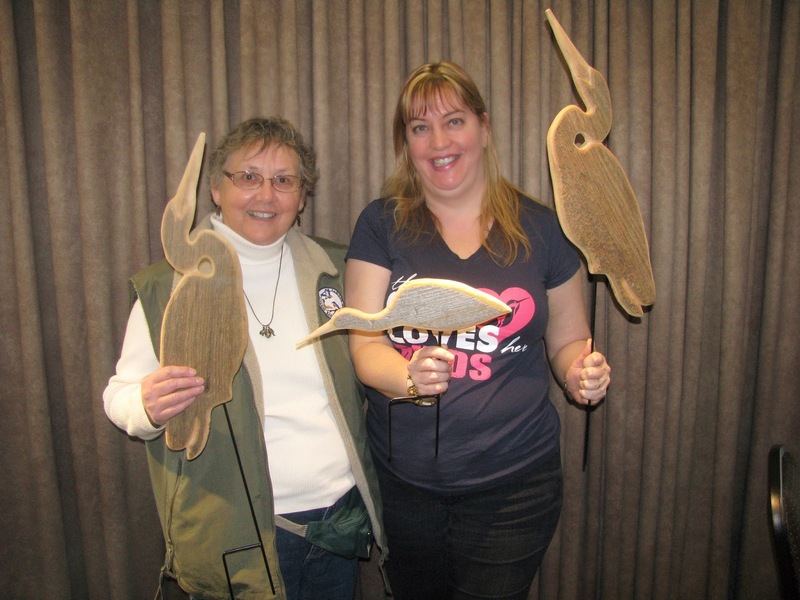 Love the woodens birds that you won.